Extraordinary color and brilliance. The crystal definition is also magnificent. Globular aggregates on matrix of small rhombohedral crystals with curved faces and edges. 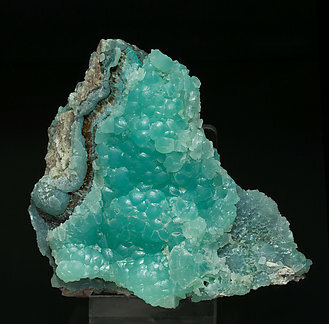 They are bright and they have a very deep green color corresponding to the cuprian variety of this species. 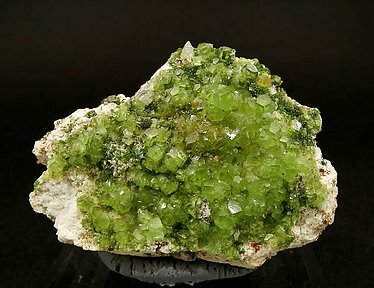 A group with rhombohedral crystals of considerable size and an excellent intense green color, on a rocky matrix that make the specimen very aerial. 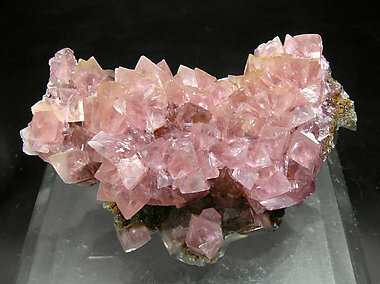 Group of sharp, very well defined, rhombohedral crystals with excellent luster and transparency. The color is very intense and they are on matrix. 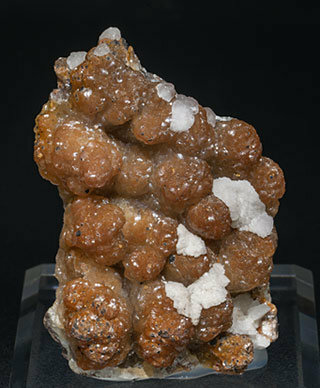 Spheroidal aggregates of crystals with curved faces and edges, with a vivid color between brown and orange, with Calcite and on matrix. 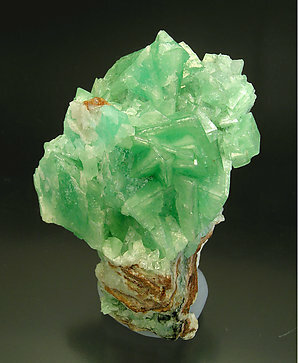 Efflorescent growths of curved scalenohedral crystals with an intense green color. A sample is different from most for this locality. 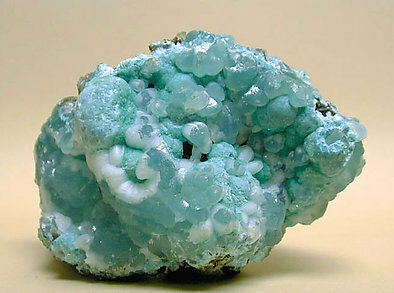 Botryoidal aggregate on a rock matrix with neat forms and surfaces and with a very vivid and uniform blue color. An excellent Italian classic. 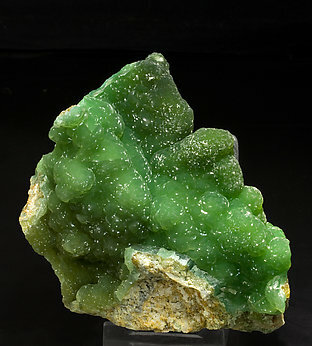 Translucent botryoidal growth with green color, slightly bluish. It has some white areas and some violet shaded zones. A classic species with great quality from a very, very, classic locality. The sample was previously in the Gilbert Gauthier collection, whose label we’ll send along with the Stoppani label to the buyer. As is the case with so many specimens in this collection, the sample is of great quality for the locality. 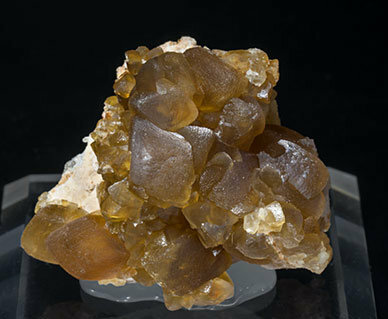 Group of good size and well defined rhombohedral Smithsonite crystals, nearly lenticular habit, yellowish tones and on matrix. 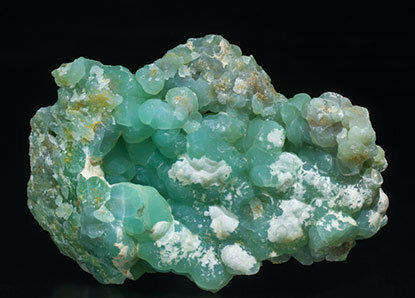 Two generations of Smithsonite on a Galena matrix. 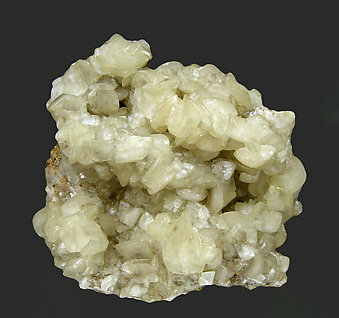 They have two very different characteristics, one of them forms globular aggregates of bright and slightly yellow microcrystals. 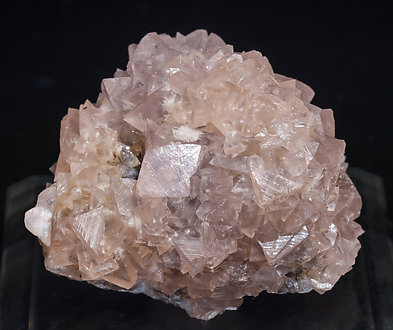 The second generation consists of very sharp, acute, scalenohedral crystals that are transparent, white and with very well defined faces and edges. An excellent Australian classic. 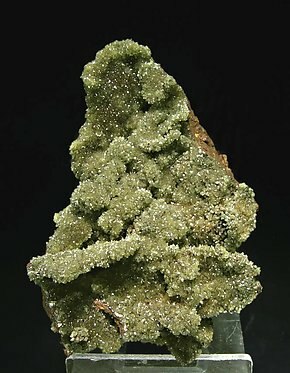 Spheroidal groups of small, very acute, scalenohedral crystals with good luster that cover the Limonite matrix. The specimen comes from an old private collection of the La Unión district. We'll provide a copy of the analysis to the buyer. 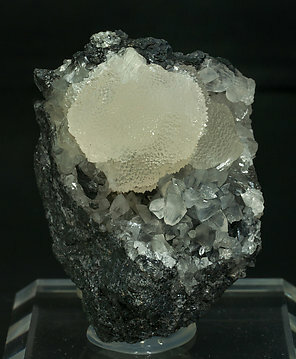 Spheroidal groups of small, very acute, scalenohedral crystals with good luster that cover the Limonite matrix. 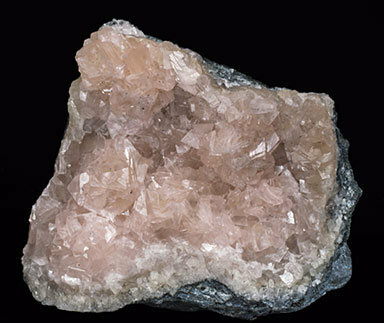 On the back, right and lower sides on the sample the crystals are very individualized and easily distinguishable with a lens. 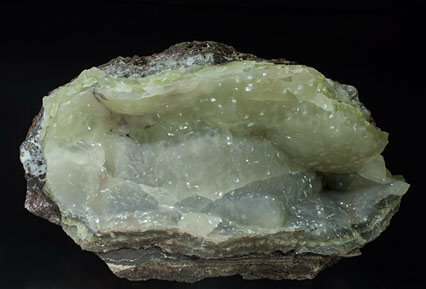 The specimen comes from an old private collection of the La Unión district. We'll provide a copy of the analysis to the buyer. 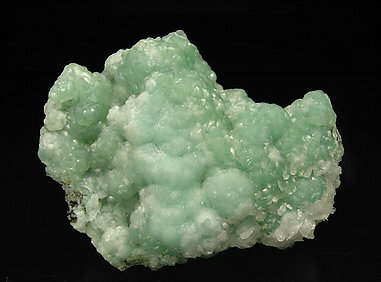 Botrioydal growths of intense greenish blue color and excellent luster, on matrix. An American classic. 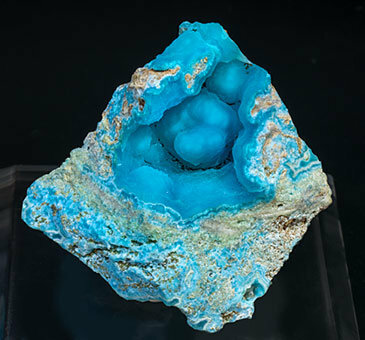 Fine botryoidal growth, on matrix, with a very intense and uniform greenish blue color and showing a luster that is very intense for the species. 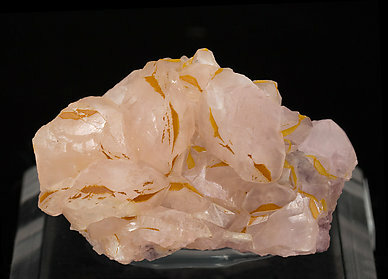 Lateral areas allow viewing the banded growth of the mineral. An excellent American classic. 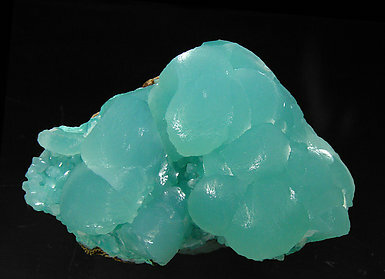 Very nice contrast between the different color shades of this brilliant Smithsonite. Much better than the normal ones on the market, in my opinion. 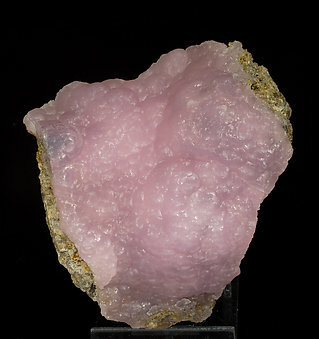 Botryoidal aggregate with intense and deep pink-mauve color and good luster. It is coating a rocky matrix. 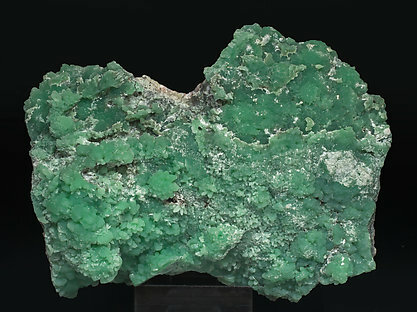 Clear green botryoidal aggregate on matrix. 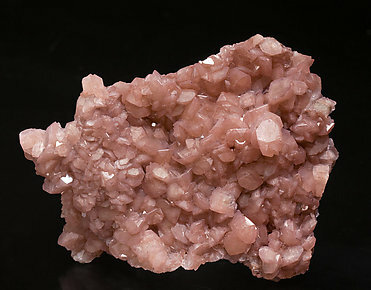 We note the excellent quality of this sample considering its locality of origin. 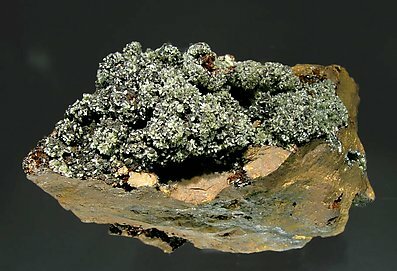 Botryoidal growths on a limonite matrix of crystalline surfaces with a clear yellow color with slightly greenish shades and an intense silky luster. 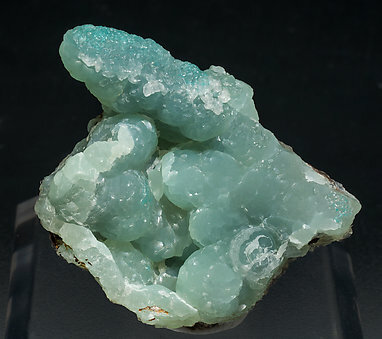 We especially note the uniform quality of the Smithsonite, very rare in a sample of this size. 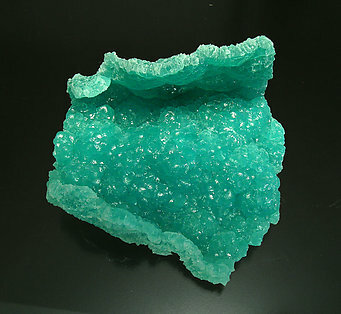 We specially love the vivid green color of his fine and esthetic botryoidal growth, really formed of crystals with completely rounded faces and edges.